The collection uses a rip-stop material called Sealtech which can reseal itself after a small rip or puncture. The material consists of a grid of nylon threads that is able to separate slightly when punctured and a coating that reseals the surface over time. Again, this won’t stop a bullet or a steak knife but you can poke through it with a pen or pencil without pain. “The unique coating allows the fabric to act different than most nylons. Its high tensile strength gives it the ability to maintain integrity when punctured without compromising the rest of the bag, while the coating repairs any abrasions within the material,” he said. I tested the sassy little bag on a short trip and found the lightweight material and waterproof coating to be the biggest sellers. The company is aiming for a more tech-centric consumer with the Sealtec material, a move that pivots it away from the retro look and feel of its traditional backpacks. Even the branding – unassuming, hidden tags on the side of the bag and not front and center – points to a move towards Herschel as a tech garment company rather than a hipster fad. “In terms of branding, the introduction of the ID logo a year ago, along with our redesigned Studio Collection, was meant to speak to a more elevated audience. Following the same design mentality, we’re introducing that contemporary branding into different tiers and new collections every season,” said Cormack. This means, we assume, that Herschel doesn’t want to be lumped in with Converse and other retro favorites. 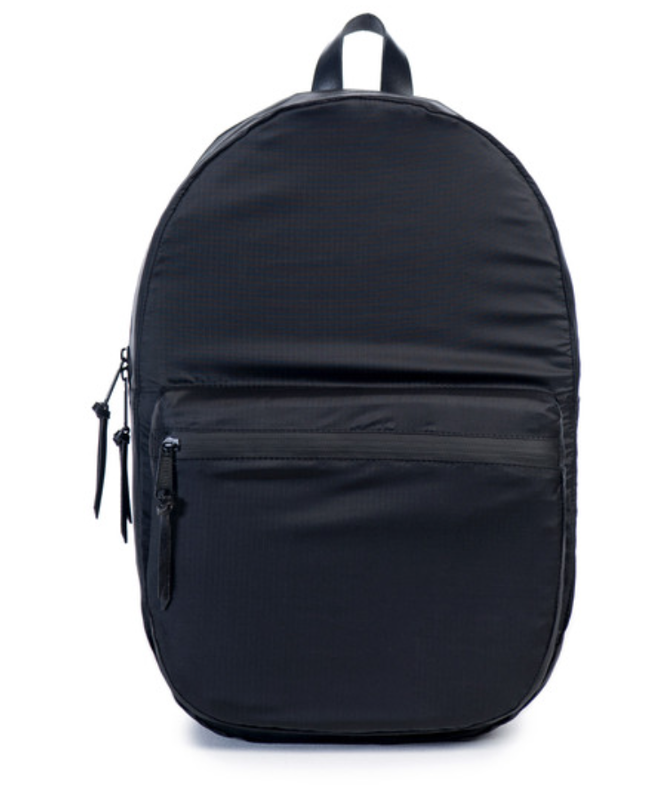 The company, which is only six years old, has already seemed to inundate the minds of backpack buyers everywhere and this move away from ostentatious branding and high-end materials is interesting and telling. The company is working on a number of bags including the Lawson backpack and a duffel. As with all things, stabbing of the Sealtech line should be done in moderation but its nice to know that now our backpacks are self-healing, unlike our poor, sad hearts.